An inspiring speaker or blogger doesn’t change the world on the first attempt, but does so one message at a time. 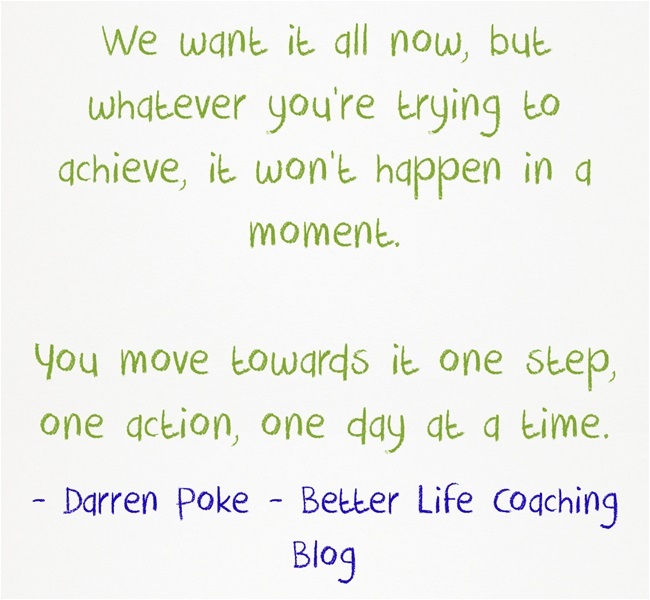 We want it all now, but whatever you’re trying to achieve, it won’t happen in a moment. You move towards it one step, one action, one day at a time. So stop looking for the big bang, the short cut, the lucky break and start moving inexorably towards your goal. No one can stop that! Just the words I needed to hear as I start my life and career over again. Short and to the point. Perfect!